Minibus World are leading manufacturers of bespoke School Minibuses. We supply a range of standard and accessible 3 to 17 seat minibuses for schools with flexible seating configurations, type approval, nationwide delivery and signwriting. With options to buy or lease with a low initial outlay, affordable monthly payments and maintenance included our satisfied customers include schools, academies, colleges and universities. Our range of Peugeot Approved CanDrive Minibuses have been designed specifically to be the ideal School Minibus. They are lightweight, flexible, safe, legal and can be driven on a car licence. 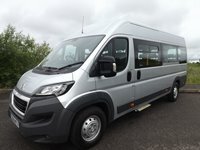 Built on site by our experienced coachbuilders we provide you with a quality minibus that you will be proud to drive and use for school trips. We offer a range of makes and models including Peugeot Boxers and Ford Transits which are very popular with our school customers. This is confirmed by the number of referrals and repeat business we receive and from the testimonials and reviews we receive from teachers. 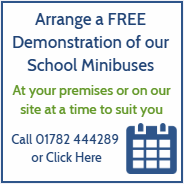 Contact Minibus World today on 01782 444289 to discuss your new school minibus. 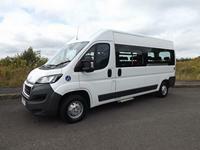 Minibus World manufactures the CanDrive range of custom-built lightweight School Minibuses. 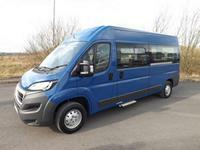 These are an ideal minibus for schools looking to buy or lease. Our CanDrive lightweight school minibus range is specifically designed and manufactured to be driven on a car licence - the majority of staff members can drive the minibus without the need for a D1 licence (conditions apply). 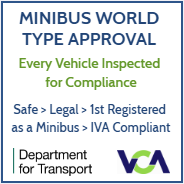 IVA tested by DVSA (formerly VOSA) where applicable and provided with an Individual Approval Certificate (IAC). First registered as a minibus. Our seat belt anchorage system has been pull tested in-vehicle with the equivalent of 1.5 tonnes of weight per seat and its effectiveness witnessed and signed off by VCA (Vehicle Certification Agency). 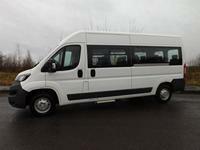 Buy or Lease Your School Minibus? Our school minibus leasing option is popular with schools, colleges and academies. We have access to the best rates in the UK and provide a hassle-free way to run a minibus. We also offer outright purchase (maintenance available), leasing and contract hire options. Contract Hire is available with a maintenance package (servicing, tyres etc), annual MOT and Road Fund Licence costs included. Just add fuel and insurance. 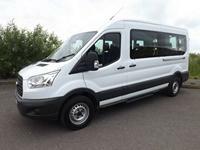 We have competitive pricing and excellent leasing rates on standard D1 vehicles such as the Ford Transit 15 or 17 seat school minibus. Not sure if your School would benefit from owning a Minibus? Try Before You Buy Leasing - Are you currently renting or hiring a minibus with driver? 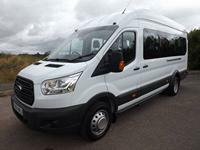 Want to try a Minibus for 6 months without obligation or the long term commitment of a 3 or 5 year lease to see if the cost, convenience and freedom of having your own School Minibus can work for you? For a fixed affordable cost from only £14 a day you can lease a fully maintained minibus to try before you buy. No need to call around booking taxis or coaches, providing you with the freedom of running a low maintenance, cost effective minibus that is within your monthly budget. Why Should Our School Buy From Minibus World? We are trusted school minibus experts who understand your needs. We are a reliable company experiencing a sustained period of growth with increased production with repeatedly satisfied and returning customers. We pride ourselves on having many satisfied repeat customers and referrals. We provide pro-active first-class after sales care and it does not matter if you are purchasing one or several minibuses your satisfaction is highly important to us. Around half our business currently comes from fleet or returning customers and recommendations! 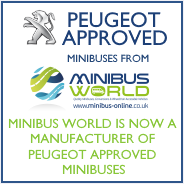 Our range of Peugeot Approved CanDrive Minibuses are made in the UK, hand-built by us for you. Your school minibus can be branded to match your school identity including sign writing. Our CanDrive range can be built with colour coordinated seats, seat belts and piping. Based in the heart of the UK we offer excellent lead-times, stringent safety testing and free of charge nationwide delivery to your School. Our experience of working with Minibus World has been exemplary. I have been so impressed with the expertise and experience of the team; their understanding of schools - and the needs in this case, of a very small, rural first school have been first class. The whole process from beginning to end has been so easy... we are all delighted.